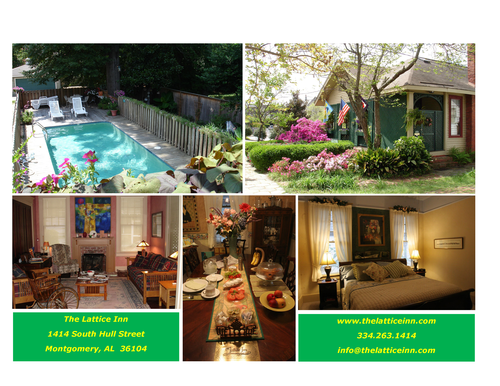 The Lattice Inn is an award-winning and unique bed and breakfast nestled in the heart of Montgomery's historic Garden District, near the Governor's Mansion, and the intersection of I-65 and I-85. 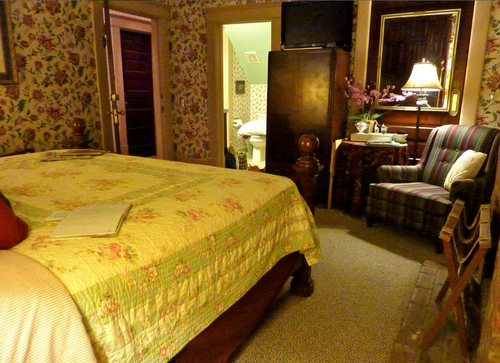 Since 1993, The Lattice Inn has provided an exceptional lodging experience in a tastefully updated 1906-era cottage. The four guest suites feature free Wi-Fi, HDTV* with AppleTV, fridge, microwave, DVD/CD player, MP3/iPod docking clock radio, hair dryer, and king-size bed. 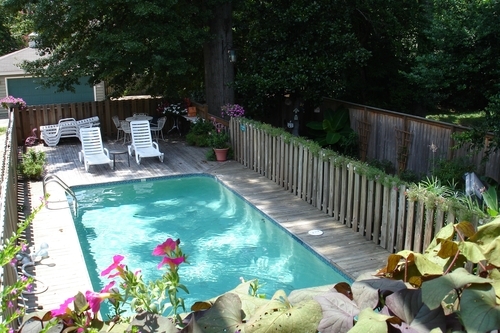 Other amenities include a business center, hot tub, Koi pond, intimate garden areas, and a salt water pool. Guests seldom want to leave once they've been pampered by our thoughtful amenities and attention to detail throughout The Inn. 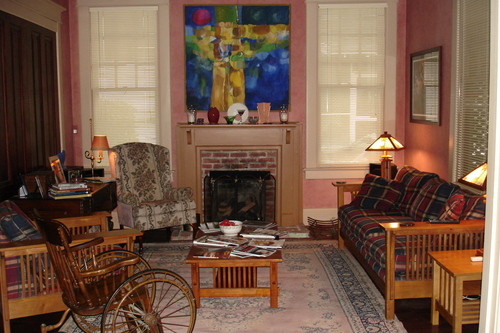 The property is listed on the National Register of Historic Places. Enjoy all of our amenities!